The Lions will now host the Crusaders in Saturday’s final at Ellis Park (16:00 kick-off). 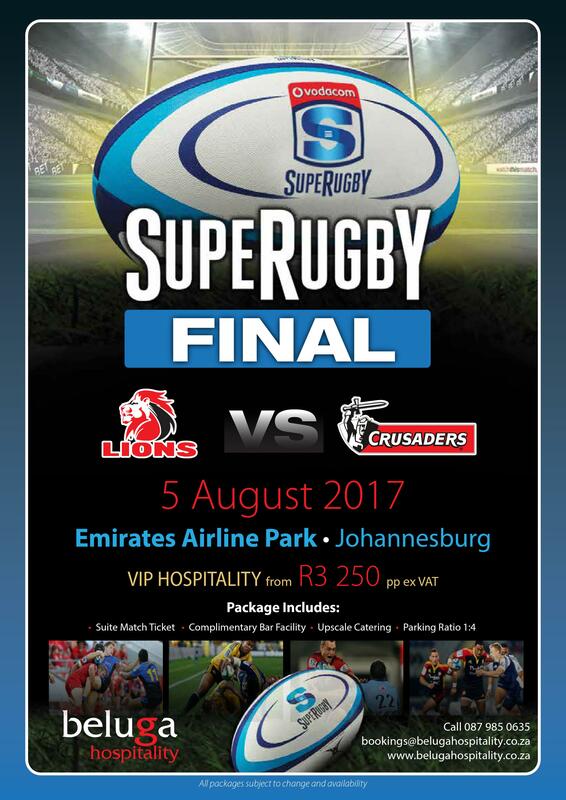 Don’t miss out on one of the most important dates in South Africa Super Rugby history as the Lions take on the Crusaders in the 2017 Super Rugby Final at Emirates Airline Park, Johannesburg! Book your hospitality tickets now for an unforgettable experience! Contact Grant Wilson on 082 466 4122 or grant@belugahospitality.co.za to book your packages for the match.